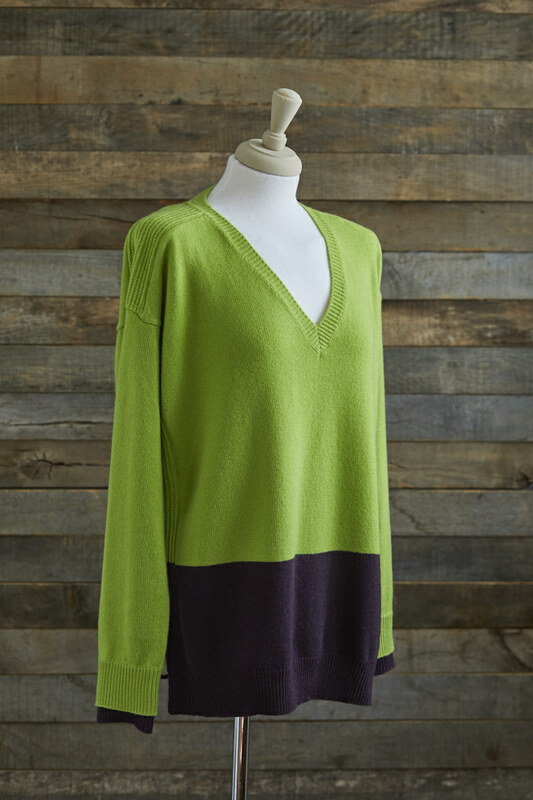 With comfort in mind, this V neck jumper softly drapes with deep side slits and double cuffs - the under cuff having a thumb hole so that it can be worn like a mitten. Attention has been paid to detail; there is deep ribbing over the raglan shoulder which is echoed on the side seams giving added depth and texture. Great for layering or wearing on its own. 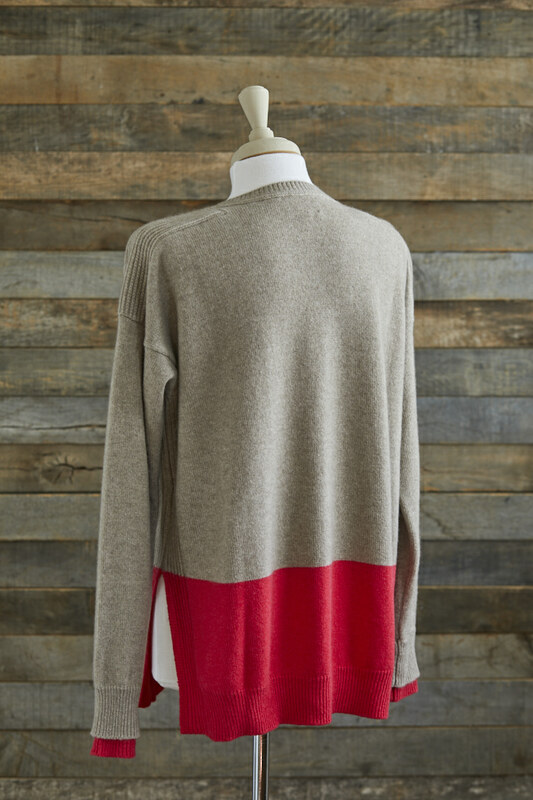 The jumper that lives on your bedroom chair as you will want to wear it every day.